High-performance LED cycling light. Compact, durable and heat-dissipating machined aluminum body. 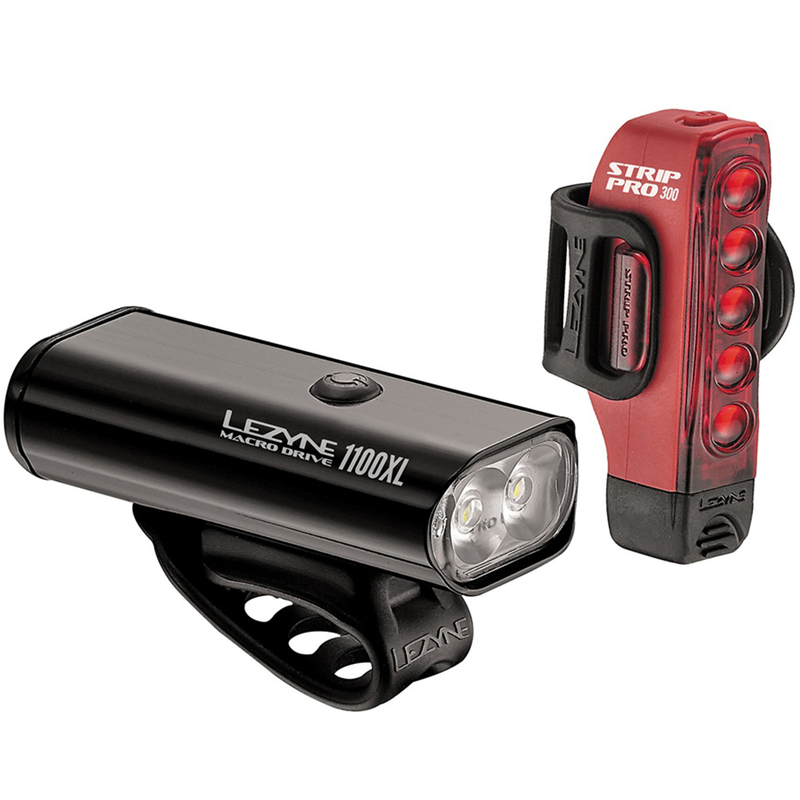 Two market-leading, ultrahigh-output LEDs delivering up to 1100 lumens on the front & 180 lumens at the rear. Versatile strap securely mounts to all standard bar shapes, including aero bars. Extremely powerful and versatile LED taillight. Light and durable co-molded lens/body construction. Waterproof. Unique aero and round post compatible design. Five market leading, ultrahigh-output LEDs delivering up to 300 lumens. Mode Memory function returns to selected mode after turning off. Nine combined lumen and flash modes, including the extremely visible 300-lumen Daytime Flash mode. Enhanced lens with built-in side visibility.